Its that time of year when myself and everybody else are starting to think about the perfect Christmas gifts. My boys (this includes my husband) are HUGE motorbike fans. I often get dragged into the World of motorbikes and find myself oowwwing and arrring at the TV screen during Moto GP. I find boys so hard to buy for especially when they have everything already. Dave obviously has all the gear needed to ride a bike so I've thought about the less obvious things... things that every motorbike fan should have in their life! As for the younger boys they have motorbike models, bikes that look like motorbikes, helmets that look like motorbike helmets and just about everything Rossi (the World's best motorbike rider... apparently) branded you can think of. Motorbike slippers would be perfect for all the boys in my family. Motorcycle cake mould This would make my life so much easier when I'm asked for motorbike cakes. Motorcycle sign Great to remind me to leave a space for Dave on the drive! 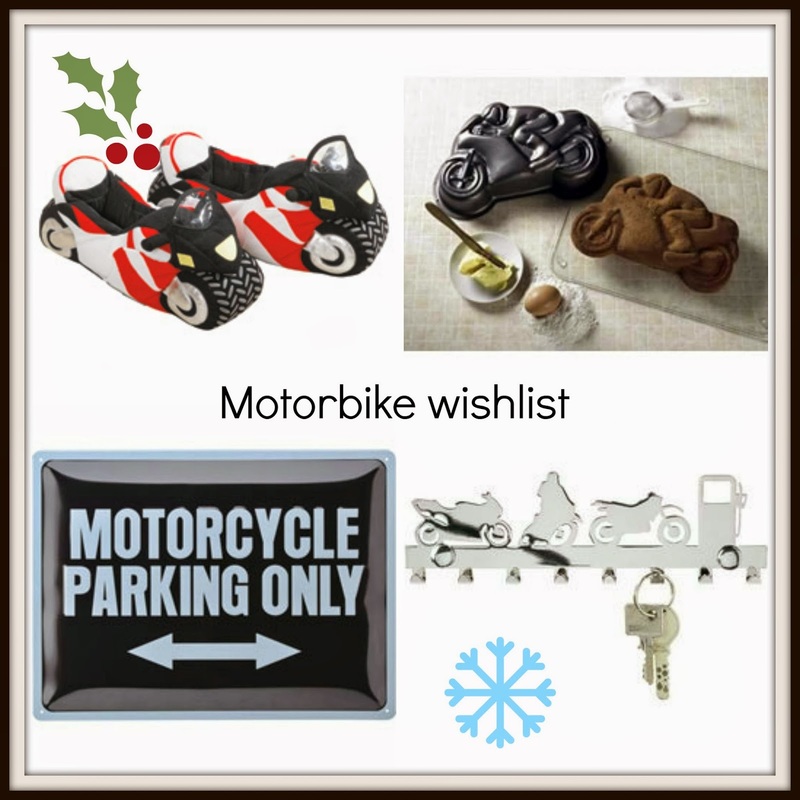 Do your have motorbike fans in your house? I love the cake mold, might have to get one of those for my bike mad hubby. Great isn't it! I put in on the list for me as there is no way hubby would bake a cake, quite happily eat it though!